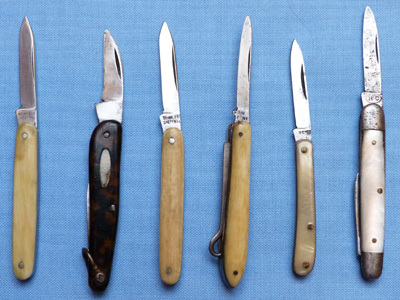 A fine collection of antique British Sheffield miniature penknives. Grips made from ivorine, bone and mother of pearl. There are six in total. All in very good condition for their age. Average length of the penknives when blade extended is around 3.5 inches. 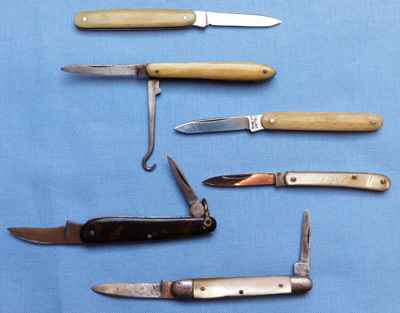 The collection makes an interesting mix for the collector of miniature antique penknives. 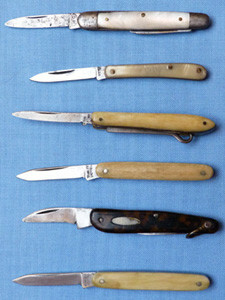 Please see my other antique penknives for sale.